A heat resistant heat tape for fixing transfers onto imprintables prior to pressing. 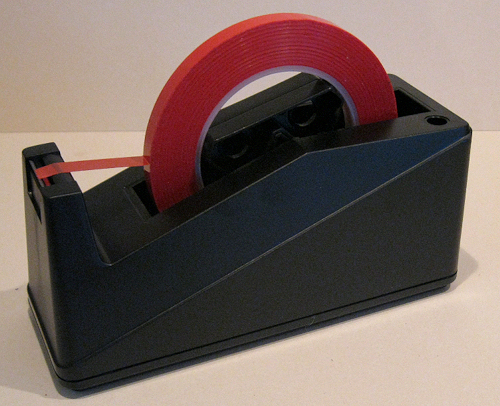 Our popular bright red heat tape is removed quickly and easily without any marks on your printed item. 66 metres x 10 mm roll. Please note that the dispenser shown is not included!